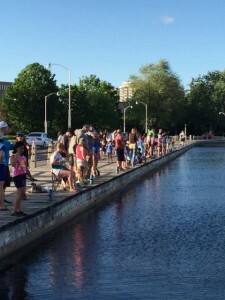 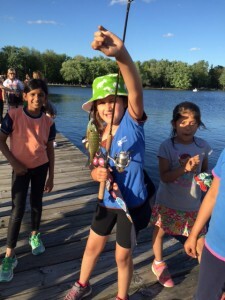 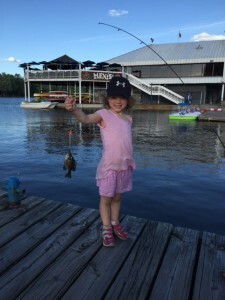 Every year volunteers from Blue Fish Canada work hard to take young people fishing. 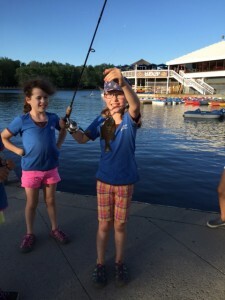 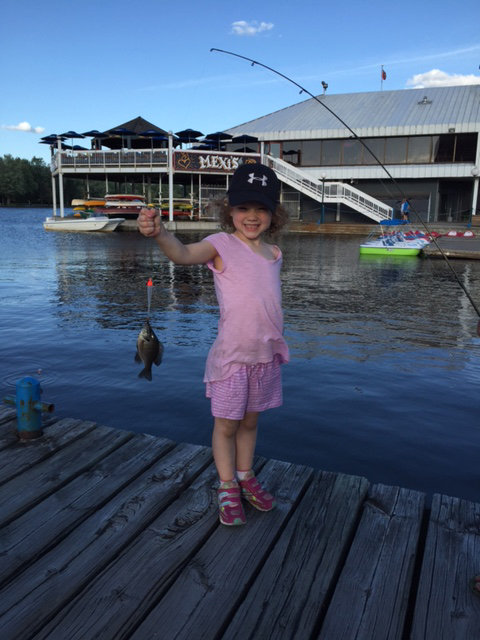 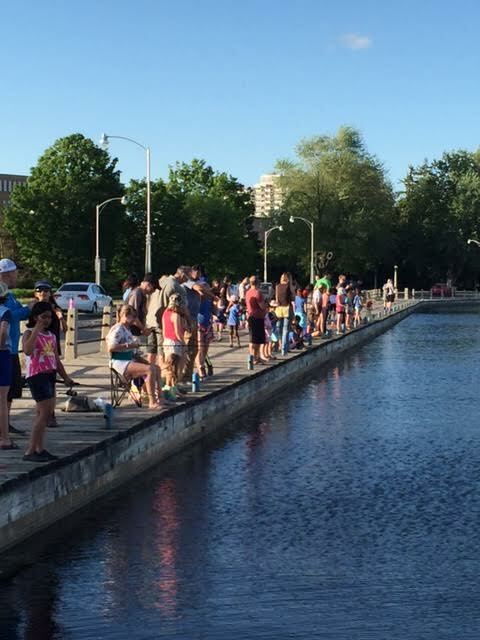 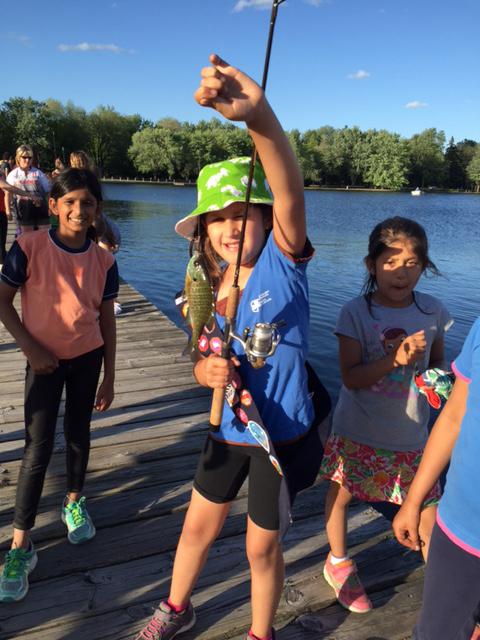 One of our favorites is the Girl Guide shore fishing event. 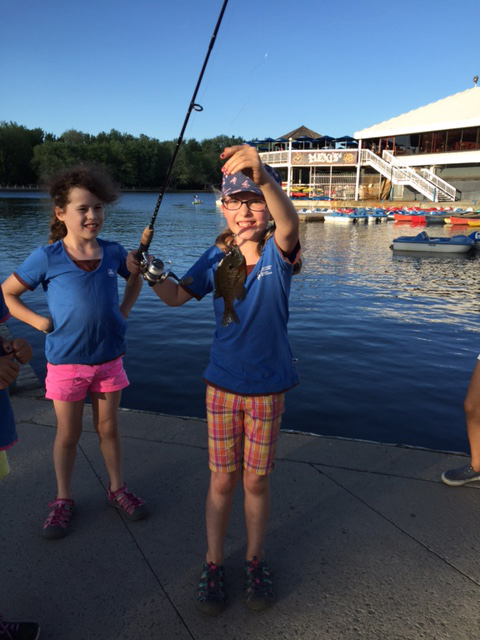 With over 50 girls ranging in age from 5 to 16, we had our hands full of worms and fish, but the girls were great! They all caught at least one fish each and most now r skilled at fish identification, putting on their own worms, and releasing the fish. 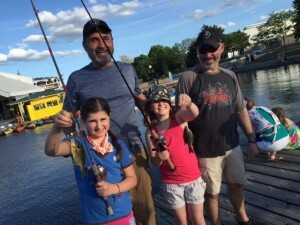 We kept one of each species caught in a Frabill 5-gal aerated livewell so we could do a more detailed exploration at the end with the girls taking part in the Q/A. 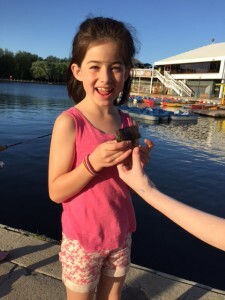 This year AMI TV captured the event for TV.